This is the pass within Annapurna Region that stands with the elevation of 5416 m. Thorong La Pass is one of the parts of newly introduce trekking of Annapurna region – Annapurna Seven High Passes Trek. This is also the major highlights of Annapurna Circuit Trek. Kangla Pass is one of the thrilling and remarkable passes of Annapurna Region. With the elevation of 5300m, Kangla Pass offers with the amazing picturesque view of the great towering mountains. Being one of the highest passes of Annapurna Seven High Passes Trek, passing through this pass will be challenging and interesting. One of the high passes of Annapurna Region, Phu Pass, offers with the dazzling view of Himlung Glacier and Kanguru Himal. Phu Pass, with the altitude of 5043m, is the interesting pass or route of Annapurna High Passes Trek. There are no accommodation facilities within this high pass area, so it becomes more adventurous to stay in own tent. Seven High Passes Trek of Annapurna includes this interesting and challenging pass. Naar Pass has the elevation of 5390m that bestows with panoramic view of the great mountains of Annapurna Region. Around Naar Pass there is no accommodation facilities so trekkers are requested to carry their personal tent. Meta Pass will be interesting and surprising. Entering to this pass, the human settlement gets thin and delivers with the charming beauty of Annapurna Range. With the altitude of 4635m, Meta Pass is one of the seven high passes of Annapurna that holds the remarkable features of the Himalayan Region. Yarcha Pass, elevation 4834m, is one of the interesting pass of Annapurna Region. The route of the newly introduced trek – Annapurna Seven High Passes Trek also includes this remarkable pass. The fantastic and rewarding views of the Himalayas from Yarcha Pass makes the hike more amazing. With the altitude of 4900m above the sea level, Kuchumro Pass is one of the remarkable passes of Annapurna Region that offers with the dazzling and opulent view of the Himalayan range. One of the Seven High Passes of Annapurna Region holds the equally challenging and fabulous features like of other passes. 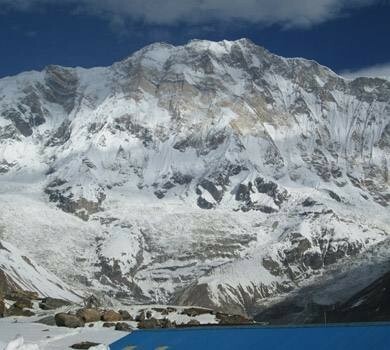 This is the first and interesting high passes of Annapurna Seven High Passes Trek. Wondering how to get in touch with these remarkable high passes of Annapurna Region? 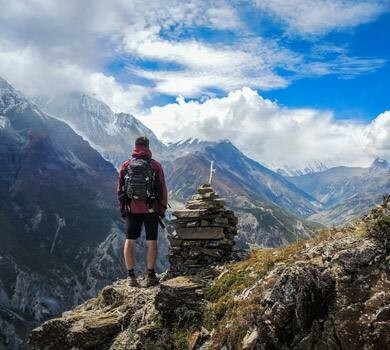 Then, Annapurna Seven High Passes Trek combines these all passes in a package and delivers with the rewarding and challenging travel experience for a lifetime. Along with this, participating in Annapurna Circuit Trek is also worth of experiencing the real thrill of life.